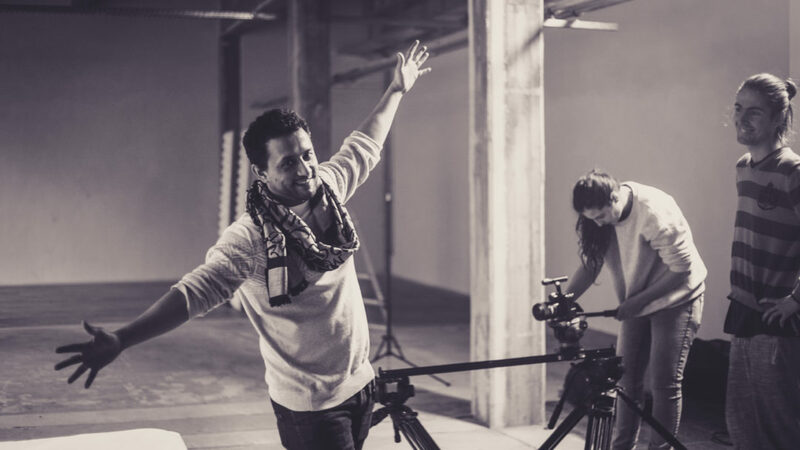 Masih, who comes from Afghanistan, joined the Film Production Bachelor in 2016 with a wealth of industry experience under his belt. His inspiring story led to an in-depth feature in Aljazeera earlier the same year, and this month, Deutsche Welle‘s InfoMigrants #worthit? video series. The series explores powerful questions about refugee life and unwraps the subjects’ experiences in their adopted homeland. This remains a pertinent topic in Germany, which after opening the borders to refugees in 2015, deported record numbers last year. 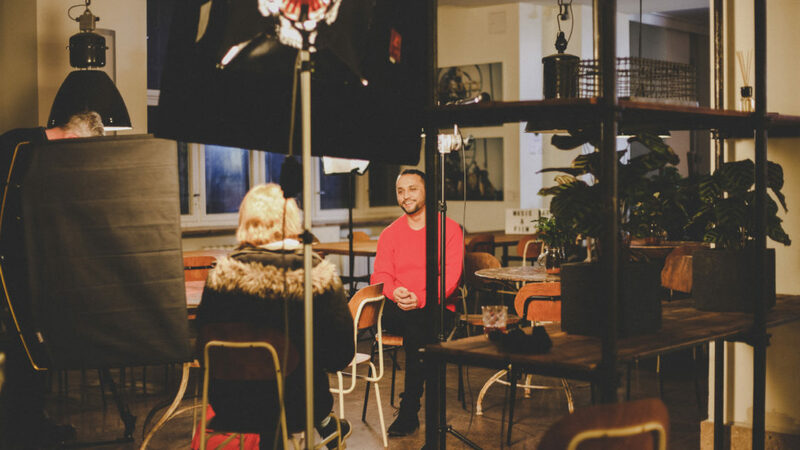 For our Filmmaker Friday series, we caught up with Masih to learn more about his creative journey as a filmmaker and the exciting projects he’s working on. Watch his #worthit? episode below and scroll down to read the interview. You were recently interviewed by Deutsche Welle. Can you tell me more about that? I was interviewed by DW for their video series, #worthit? by InfoMigrants. 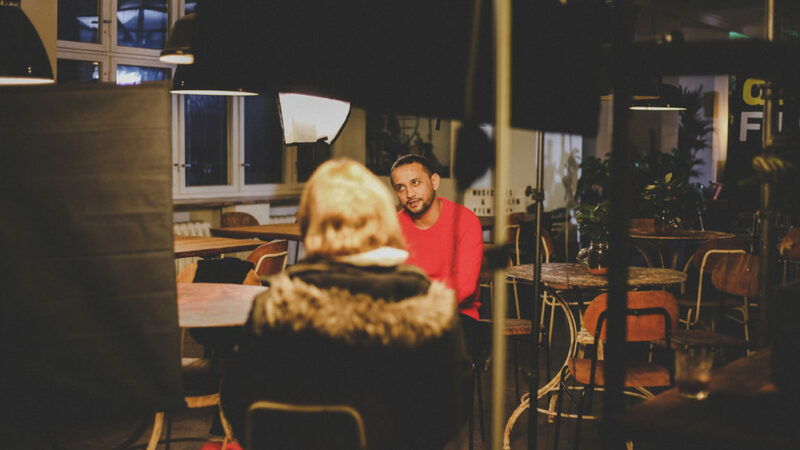 Showing on all of their social media channels, their website and TV, it portrays refugees and migrants in Germany. The central question is whether leaving their native country is worth it. They likewise consider whether their expectations for their new home have been fulfilled, sharing their mixed feelings and attitudes towards their adopted homeland. When did you first decide you wanted to be a filmmaker? My artistic life started when I was a kid. I worked as an actor and radio mediator for Afghan refugee children in BBC Radio programmes in Pakistan from 1999 until 2003. After that I was involved in theatre projects. Then finally in 2005 I started working as a producer and video manager in a French communication organization in Afghanistan. Since then, I have been involved in many local and international projects for NGOs including United Nations, the European Union and USAID. In 2008 I began my own production company and worked closely with Hollywood productions in Afghanistan. They included Buzkashi Boys, a short narrative film that was nominated for an Oscar, Rock the Kasbah with Bill Murray and many others. Sylvia Gozdek, our admissions lead, was immediately impressed by your experience and passion when she met you at an open day back in 2016. What drew you to dBs Berlin? My biggest dream was to study filmmaking and to develop my skills. I was looking for a film school, then I found out online about dBs Berlin. I visited and met the Film Production Certificate lead Malachi Rempen and Sylvia on the first day. Sylvia is an angel for me. She was very open and welcoming and she introduced me to the film courses, and here I am! How has your past influenced the stories you tell, and what impact do you hope to make on your audience? There is a saying that as filmmakers we leave our footprints. I definitely have different life experiences from where I come from. I want to share and tell stories that entertain, and at the same time bring about change or inspire thought. Whether that’s social, political, romantic or any other genre! Your latest short film Breathe Me is beautiful and touching. What were the inspirations behind it? Breathe Me is the story of two young women, Anna and Lea, who are in love with each other and living with joy and happiness. Anna is suffering from pain and when she finds out that she has cancer, she takes the decision to hide it from Lea. This film is equal parts drama, love, romance and tragedy. First of all, it’s for all of our loved ones that are suffering from cancer. My aunt died from lung cancer and she hid it for a long time. We only found out in the very last days of her life, which was very painful. And since I have many friends that are lesbian, gay or bisexual, I wanted to show how cool they are. Tell us about your creative journey – from conception to the final cut. We as dBs Film students were assigned to explore and reinvent a film genre. This included thinking about the themes, styles, techniques and methods that categorise that particular genre. We had the choice to create a horror, musical, sci-fi or crime film – or any other genre. I chose drama. The film is based on a mixture of true stories and people I know. I mentioned my aunt with her cancer, and I also have friends who have been cheated on and had to move on in their lives. There are couples that, because of a wrong or right decision, have broken up, and so on. In Breathe Me, the audience can experience many feelings and emotions in a short time. I think that’s what makes it a unique and interesting story to watch. The biggest challenge was the budget. I covered the film budget from my own pocket. So we didn’t have too much time to develop it further, and we couldn’t shoot with the best equipment. But overall, with the help of my classmates and the dBs Music students, we made it and I love this film. I would say that filmmaking – from having an idea to pre-production, production and post-production – it’s just all fun fun fun! I enjoy every second of it. Each step has its own beauty and connects you with new ideas and new creators. It gives you the feeling of having the power to bring about change. It’s like creating a world that doesn’t exist, but you can bring your own colours and beauty to it. For sure, it’s very challenging work. But it is the concept or story itself that attracts the audience, and the audience values it! How has your dBs Berlin study helped you in the creative process? Studying at dBs really opened my eyes and broadened my perspective. I have learnt, and am learning, a lot from my tutors in different areas of filmmaking. From theory to practical and about the film business itself, it’s the full package. We explore everything from commercials to music video clips, documentary films to web series, short films to feature films. We learn how to write, produce, direct, film, edit and distribute. At the end of the day, I have learnt so many things that I can now take bigger creative steps. The school has students from more than 50 countries, so I can also learn from different people and cultures at the same time. What else have you been working on recently? I’ve been getting in my side projects as well. I was recently asked to shoot in Switzerland for an event and I’m shooting for Der Senat von Berlin (Berlin Senate), as well as many more upcoming projects. I can’t speak about them in too much detail at the moment, so watch this space! Finally, if you had one piece of advice for anyone wanting to follow in your footsteps, what would it be? Never lose your hope, dream big, work hard and always stay focused! Follow Masih Tajzai on Instagram, YouTube and Vimeo. dBs Berlin comprises over 55 nationalities! In our upcoming dBs Dialogues panel series, we discuss the topic of diversity – from the dBs community to the wider creative industries. Find out more about the events here.